The wise, powerful chief of a mysterious feline tribe. Gentle and loving towards his followers but merciless towards his enemies. 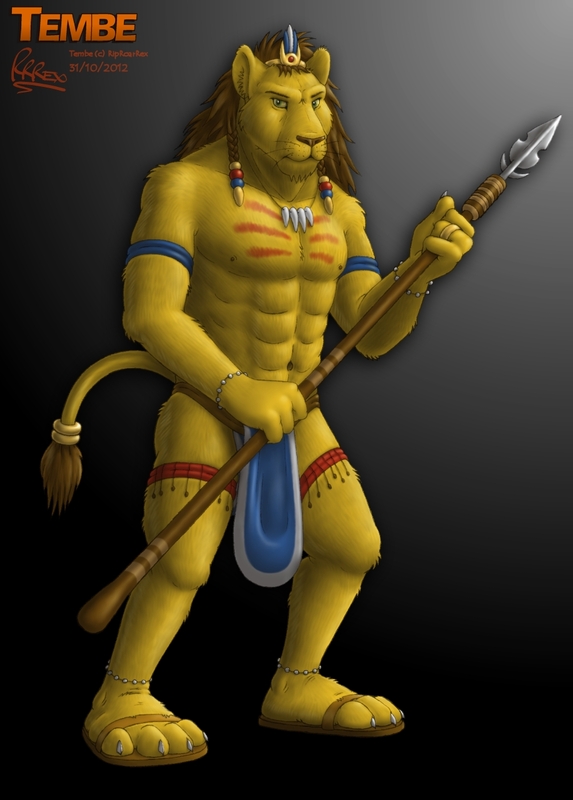 The full-sized profile picture for Tembe as he appears on the homepage banner for my website, RipRoarRex's Realm, following its November 2012 relaunch.